Due to it pouring hard of rain this morning, we never got out of bed until 9.30am! Al then decided it was a good day to make the Christmas cards, while Del played with his birthday presents. The rain then stopped for a short spell in the afternoon, and Al walked to Kings Langley for a few provisions. A quiet but enjoyable day pottering around. One of those catch up days today..The weather outside is bloody awful so we will be doing those jobs you leave till the last minute. We checked the engine levels, checked up on the banking and sent out a few e-mails. We also went through the snagging list as Derwent6 is coming up for a year..Yes a year, we hear you say..Has it gone quick? Well not for us because we have lived every minute of it and still love it from the minute we stepped on board Derwent6. To be fair to Fernwood, Derwent6 has been a gem and it is a credit to Fernwood that she has performed just the way we wanted her to. The snagging list is just trivial things which are easily rectified and part of the movement of the boat which goes through extremely hot and cold temperatures. So today we didn't do much really, but with a telly signal, it was quite nice sitting round the fire watching the football and the dreaded X Factor. We did give the batteries a hammering though. Al had a bit of a lay in while Del cleaned the chimney. You have to have a long brush and clean the flue. With this you get loads of bits of soot all over the boat so it ends up being quite a task. The sun was out early but they said it wasn't going to last, so we were hoping it would wash down the soot on Derwent6 a bit later, tactics eh. We then went for a walk into Kings Langley as we had to post some cards. We were amazed at how much they have here, like a Spar shop, Boots the chemist, Post Office, Launderette, two Pubs, Fish and Chip shop, two Indian restaurants, a Bakery, Butchers, and a Model shop. We then spotted that they were turning the Christmas lights on today and having fireworks. We made our way back to Derwent6 and in the afternoon had dinner and chilled for a bit before heading out to see the lights. It then, as predicted, started to rain and we thought the fireworks would be cancelled. We made a hasty retreat back to Derwent6 and the warm cosy surrounds. Al was quite pleased as Strictly was on telly so it wasn't a difficult decision. As it turned out the fireworks were in the field opposite us and we watched them all anyway sitting in the dayroom. Once again we left early this morning because we wanted to get through North Grove lock (lock 71) before Monday 30th as it was having a new lock gate and would be closed till the middle of December. The first thing we noticed was it was a bit colder, so we lit the fire early. Also once again the sun was shining on us, a blessing, as we would of had to move rain or shine. We made our way slowly up through the first three locks as it was lined with winter moorings, and then we saw a familiar boat. It was Les on n.b Valerie so it was a chance to pay back that coffee we had on his boat a couple of months ago. Les was recovering from a back injury he has had and seemed to be doing very well, and is on the move again. Thanks for the company Les and we hope all the things you are doing go to plan. We then moved on through one of our favorite parts of the Grand Union, Grove Park. The sun was hot on our backs and at Hunton Bridge locks we were sun bathing on the lock gate and still found the time to do some sticking (sticks for kindling). We then got to lock 71 and it was blitzed with BW boats ready for Mondays start. Even the lock gate was ready and waiting in one of their boats. We then spotted some more wood and with the cold weather coming up we loaded the roof up. Derwent6 was very top heavy and rocking all over the place, but we couldn't resist getting it on board. At the next lock we had a small problem as we moored up too close to the lock gates and Del thought he would hold the boat, as there were no mooring posts. Al opened the paddles and they were a bit fierce. Del couldn't hold Derwent6 and it would have pulled him in, so he had to run to the back and jump on. By this time Al had closed one of the paddles and Del managed to line up for the lock. We never had time to get the fenders up and on entering the lock we lost one of them. Luckily we had a spare. We then looked for a place to moor (a tip by Les) and it was just starting to get dark, a great time for Kingfisher watching, we spotted three, but our camera at the moment is not up to the great pic standard. We also made friends with Jack the Donkey and he was treated with a apple making Del hungry, good job we've got a lot of apples. We then had dinner and made the effort to get a satellite signal, the first time for three weeks, so we will be watching a bit of telly tonight. We got up this morning with the intention of moving early but were halted when we were told the canal was closed because of a fire in a warehouse. We then left a bit later when it was clear but when we got there the firemen were still running their inspections as to the cause. If you look closely you can just see them behind the tree on the fire engine ladder and you can see where the windows had melted. We couldn't believe the weather still bright blue sunshine, though it was a bit nippy. Al then made some hot cross buns and burnt them, (still dribbling over the firemen), fire must be on the menu today. We made good progress, although the locks were all against us, and it was pleasant cruising with no drama's. You could see how much rain we had had over the last few days from this shot of the marina and this is not the entrance. We got to Copper Mill and noticed some wood chopped up on the towpath, so we stopped and put a few lumps of it on the roof. We then got to the next lock (against us again) and decided to top up with water while we waited. Who should be coming down but Ernie & Carol on n.b Ten Bob Note. It was good to see them both and we stood chatting for half a hour, (he wasn't on his knees all that time!). Three boats passed us while we were talking the most we had see for about two months. Have a good trip both of you and have fun. After leaving them we thought we would get as far as we could before it got dark and we managed to reach Rickmansworth. We moored up and had dinner and chilled after another busy day! Up very early this morning due to the fact our time in London was up. It was quite sad to leave as we have had a great time here, but we will be back. It was 6.30am when we pulled out of the basin and passed blogger's n.b Indigo Dream and the first part of our journey in darkness. We made our way past Wembley and on to our first stop, Sainsbury's, to top right up with provisions as dawn was breaking. We thought the weather was going to be bad today and were surprised with the blue skies and the sun on our backs as we moved onto the water point at Greenford. It took about a hour to fill up Derwent6 so we had a bit of lunch while we waited. In the afternoon, the wind started to get up, and it was in our faces, so we had to open the throttle up a bit to push Derwent6 into the wind, as we now had the extra weight of a full water tank. We then got up to the turn and on to the Grand Union again and with the wind shielded a bit it was a bit easier. We did keep bumping into the freight boats again, and yep, always at bridges. After six hours cruising we found a mooring at Cowley, the only one left mind you. We had the fire on all day and it was a lovely feeling walking into Derwent6 which felt like a airing cupboard! Nice. After sitting down in the heat, it wasn't long before you didn't want to do anything....so we didn't. It felt good to be on the move again and get some air in our sails!!!! We got back to Derwent6 at around 4.00pm and just had time for a coffee and a quick sit down before we were off again to Hammersmith. Maxine & Graham had got us free tickets to see the comedian Russell Howard recording his Thursday BBC 3 show " Russel Howard's Good News" We met them in the queue to get in and were surprised that you even got a free beer as well. 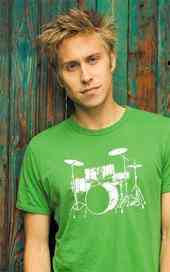 Russell Howard was fantastic and we had a great time. We were sitting in the second row and Del even got to high five Russell while the live cameras were rolling, so look out for us on Thursday. When we came out we were a bit peckish so Graham (he was driving) took us to a old haunt in Fulham. It was a Mexican, Havana's, which also had a live band. The meal wasn't free but the girls were given some free t shirts as we left, bit of a free day really.. Thanks for a great night guys!!!! Hmmmmmmm don't feel like doing anything...........except lying down with an anadin.......so we are!!!!! 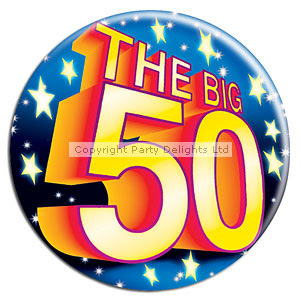 Up early this morning and it was opening birthday cards and presents before Del was greeted with 50th banners all around Derwent6. Bernie and Sarah, David and Hannah had stayed on board last night and had set up a surprise with Al on what was going to happen through the day. 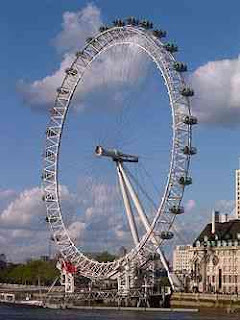 We then set off at 10.45am and got a taxi to the London Eye. There to greet us were more family and friends with the tickets to go up the big wheel. There were 16 of us and we managed to get a pod on our own. Just as we were getting on, it started to rain. Some of the crew were a bit nervous about heights and as we got to the top the rain became torrential. The wind also picked up but to be honest it still felt quite safe. We all sang Happy Birthday to the chimes of Big Ben at 12 o' clock for Del, probably to calm our nerves, but it was a moment to remember forever. As we came down the sun came out and we looked at the views across London, wonderful! When we came off we went to a 4D cinema thing about the eye which turned out to be quite good. It was then into cars and cabs and we headed off to Piccadilly. We first went to a wine bar and yes you guessed it we met up with more family and friends. After a meet and greet, and a few drinks of course we made our way up to Hyde Park Corner and walked into The Hard Rock Cafe and met up with more friends. By this time there were about 32 of us and Hard Rock had given us a large area of the restaurant all to ourselves. For anyone who hasn't been to Hard Rock, it is a Music Museum with loads of memorabilia from the beginning of Rock music, together with good food. We had a fantastic afternoon eating and drinking as Del opened his presents (he has some very good family and friends and is a very lucky boy) and a big thank you was in order. We apologise now to anyone who we couldn't ask as numbers were limited, and also to anyone we never took photos of, as we were a bit p****d at the time. This Day will be a memory forever and we thank everyone who was there for making the time and effort to make this day special for Del. 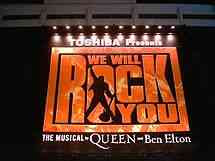 We didn't leave hard rock until 9.00pm and then made our way towards the West End. We found a cocktail bar and sat drinking then 'till late into the night using the last minutes of the day wisely. It was a black cab back to Derwent6 with us a bit worse for wear where Pat & Keith were waiting for us. The fire had been lit and the kettle on for us as we arrived. We sat going over the days events till 1.00am before we crashed into bed. Just a top, top, day and one of our best memory's. Luckily, he still hasn't grown up!!! Not much happened in the morning as we had a bit of a lay in and a bit of a tidy... We did spot n.b. Oggi (which is another Fernwood boat) coming into the basin. so we will have to have a chat when we see them. In the afternoon Bernie, Sarah, David and Hannah arrived at Derwent6 and after drinks (of course), we made our way to Tottenham Court road for something to eat. The tube was quite busy due to the rain but we got there in the end. 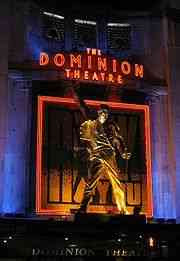 We then met up with Steve, Erica and Zak and went into see the show "We will Rock You" at the Dominion Theatre. Afterwards we said goodbye to Steve and Erica and then walked along Oxford Street before getting the tube back to Derwent6. There it was more drinks and eats before bed. Windy, but Oh what the heck!